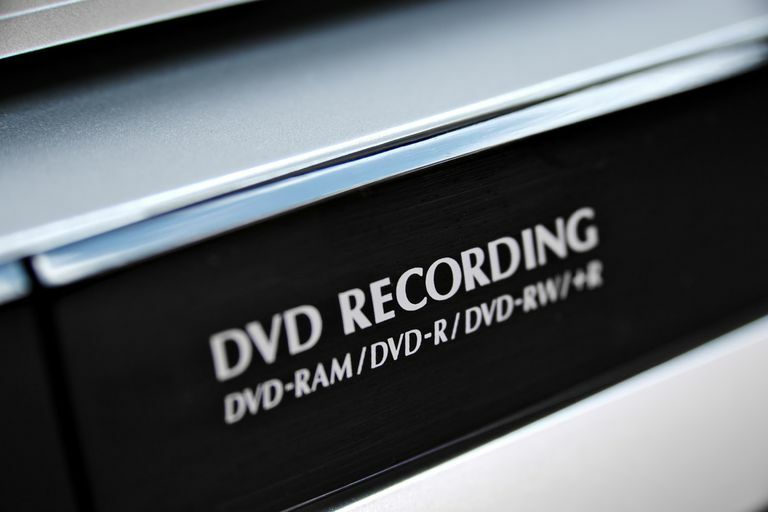 Can I record HDTV on a DVD recorder? Since the conversion from analog to digital TV broadcasting in 2009, and the subsequent trend of cable providers eliminating analog service, it has become more difficult to use a DVD recorder to record your favorite shows and movies onto disc. Also, along with copy-protection issues, you can't figure out how to record your shows in high-definition. You can't record TV shows and movies onto DVD in high definition using a DVD recorder. The reason is pretty simple - DVD is not a high definition format, and DVD recording standards and recorders adhere to that constraint - there are no "HD DVD recorders" available. The resolution of the DVD format, whether it be commercial or home-recorded discs, is 480i (standard resolution). Discs can be played back in 480p on a progressive scan DVD player or upscaled to 720p/1080i/1080p on select DVD players (as well when played back on a Blu-ray Disc player). However, the DVD is not changed, it still contains video recorded in standard definition. In order to comply with today's HDTV broadcast standards, many DVD recorders are equipped with ATSC (aka HD or HDTV) tuners. Some DVD recorders are tunerless, which requires a connection to an external tuner or cable/satellite box to receive any TV programming. However, there is a catch. Even though a DVD Recorder may have an ATSC tuner built-in or is attached to an external tuner capable of receiving HDTV signals, the recorded DVD will not be in HD. Any HDTV signals received by DVD recorders with either internal or external ATSC tuners will be downscaled to standard definition for DVD recording. On the other hand, many DVD recorders do have upscaling capability, via HDMI connections, for playback. This means if you recorded an HDTV program on your DVD recorder in standard definition, you will be able to play it back in an upscaled format if the DVD recorder has that capability. Although upscaling does not result in true high definition, the DVD will look better than if you played it back in standard resolution. The only devices that can record and playback HDTV programming in high definition in the U.S. are HD-DVRs (aka "HD Recorders"), such as those offered by TIVO, and Cable/Satellite providers. For a brief time, D-VHS VCRs, which were made primarily by JVC, were available that could record HD content on specifically formulated VHS tape, but have been out of production for many years. Although you can't record in high definition onto DVD, there are select DVD Recorder/Hard Drive Combo units that allow you to record HDTV programming in HD resolution on the hard drive, and, if you play back your hard drive recording, you can view it in HD. However, any copies you are able to make from the hard drive to DVD (exclusive of any copy-protection issues), will be downscaled to standard resolution. One format that allows high definition video to be recorded ​on a standard DVD disc or MiniDVD disc is AVCHD (Advanced Video Codec High Definition). AVCHD was developed jointly by Matsushita (Panasonic), and Sony Corporation. AVCHD recordings made on MiniDVD discs can be played back on some Blu-ray disc players. However, they cannot be played back on standard DVD players. Also, standard DVD recorders are not equipped to record DVDs in the AVCHD format, which means you can't use it to record your HDTV or HD cable/satellite programs. Since it is not possible to use a DVD recorder to record HDTV programs in high definition onto DVD, you might think that Blu-ray is the answer. After all, Blu-ray technology supports high definition video recording. However, unfortunately, there are no consumer-available Blu-ray Disc recorders available in the U.S. and the few that can be purchased through "professional" sources do not have the capability to record TV programs or movies in high-definition as they don't have HD tuners, nor do they have HDMI inputs for recording in high definition from external HD cable/Satellite boxes. For more on the availability and use of Blu-ray Disc recorders in the U.S ., refer to our companion article: Where are the Blu-ray Disc Recorders? Recording TV programs, whether from broadcast, cable, or satellite onto DVD is definitely more restrictive these days, and doing so in high-definition with a DVD recorder is out-of-the-question. Barring any copy-protection issues, you have to preserve your HD programs in standard definition on DVD, or via temporary storage in HD on a DVR-type option, such as TIVO, Dish, DirecTV, or select OTA (over-the-air) DVRs from companies such as Channel Master, View TV, and Mediasonic (TIVO also makes an OTA DVR). Also, keep in mind that when connecting an external HDTV tuner, cable/ satellite box or DVR to a DVD recorder, the recorder only has composite, and, in some cases, S-video, both of which will only pass standard resolution analog video signals. You have the choice to settle for a permanent standard resolution copy on DVD or a temporary HD copy on a DVR. However, with a DVR sooner or later your hard drive will fill up and you will have to decide what programs to delete to make room to record more. Of course, another option is to just forgo recording TV shows altogether and opt for the convenience of video-on-demand and internet streaming to satisfy your TV viewing hunger.